To have them in perfection, they must be quite young, gathered early in the morning, kept in a cool place , and not shelled until they are to be dressed; put salt in the water, and when it boils, put in the peas; boil them quick twenty or thirty minutes, according to their age; just before they are taken up, add a little mint chopped very fine, drain all the water from the peas, put in a bit of butter, and serve them up quite hot. 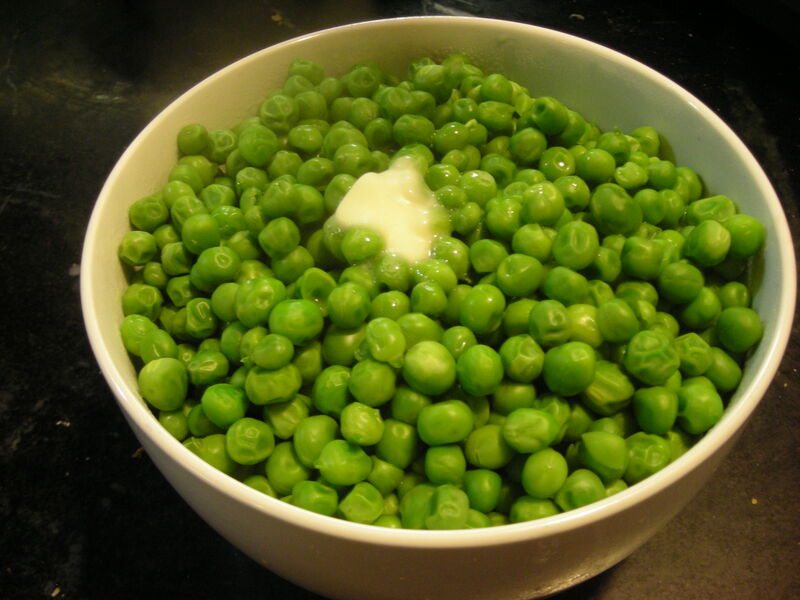 Note: You’ll notice that MR doesn’t usually deal with quantities or servings. I believe that is because she knew that her readers, and their enslaved cooks, were well accustomed to 10-15-20 people sitting down for the dinner meal and the hostess had to vary amounts accordingly. Imagine being the woman or child shelling those many, many pounds of peas, probably beginning as soon as the peas came in from the garden in the earliest morning so as to be ready to cook in time for dinner. In the Monticello kitchen, ruled over by head chef Edith Fossett, all the steps that had to be in place for the afternoon’s dinner moved like clockwork. 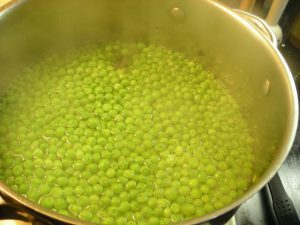 Peas being a particular favorite of the Jefferson household meant careful preparation for even so seemingly simple a dish. 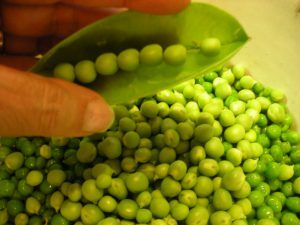 With the odd spring we in Central Virginia are having (2012) I got caught short with no soil open to sow my peas – no potatoes in the ground either! 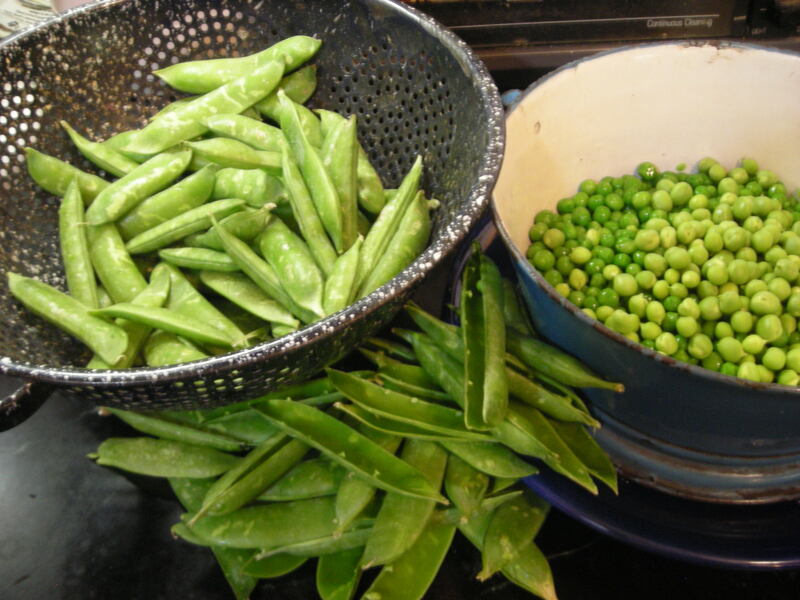 My solution will be to sow snow peas and leave the ‘English’ peas for another year. (Update: 2013 – It was another weird spring but I sowed my English peas early and had a fair crop) That’s the wonderful thing about gardening; there is always another season. For lots of information on planting peas search ‘sowing peas garden’ and you will come up with information from all over the pea-eating world! It’s so wonderful to see the shared experiences available online.